Triplewax has an extensive selection of wash and cleaning accessories for all washing, drying and polishing purposes. This new improved range offers an affordable solution for all car cleaning needs. The Triplewax Wash Accessories Range is constantly extending, to meet the consumers ever growing needs. Triplewax 100% Genuine Chamois leathers are available in a wide range of sizes. 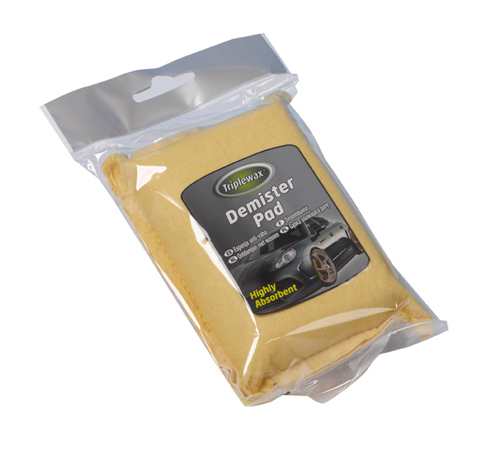 The super absorbent chamois leather is soft yet extremely durable and will not scratch, making it ideally suited to absorbing water from wet surfaces and leaving glass and paintwork sparkling. Triplewax Genuine Chamois are of the highest quality and give excellent results time after time. The Triplewax PVA Chamois and Triplewax Synthetic Car Cloth are super absorbent, hard-wearing, will not scratch and offer a modern alternative to the traditional chamois method of drying. Triplewax Dusters are suitable for valeting and household use. The traditional, soft absorbent cotton traps dust and polishes surfaces. Microfibre is extremely absorbent, soft and highly effective at cleaning and drying, making it an ideal material for use as a valeting accessory. The Triplewax Microfibre range includes microfibre pads, cloths and mitts for scrubbing, drying and polishing surfaces. 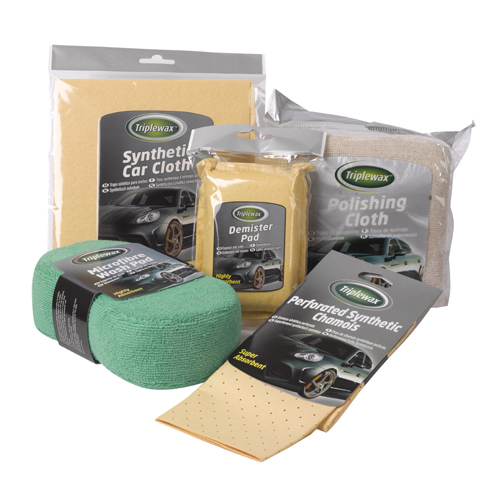 Superfine Polishing Cloths are ideal for the application of polish and wax to car surfaces and are suitable for interior or exterior valeting use. The super soft extra fine weave will not scratch, and leaves a sparkling, streak and smear-free finish to paintwork and glass. Triplewax have a selection of sponges for washing and cleaning car exterior including a Jumbo, Mammoth and Bug Shifter which has a layer of tough bug-removing foam cells to shift tough stains and deposits. An impregnated cloth for use on misty windows, to remove moisture and prevent reoccurrence. Triplewax offer an extensive collection of specialist brushes and wash accessories to cater for all needs. 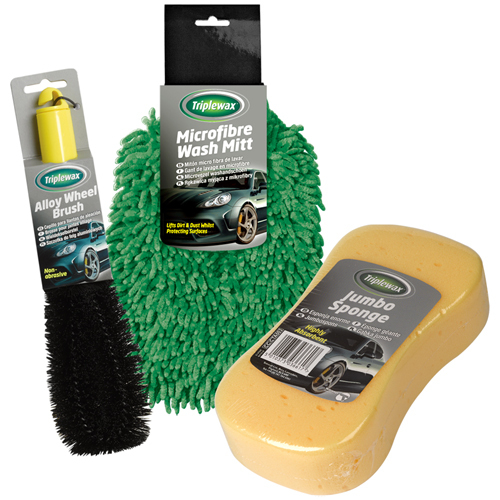 This diverse range has brushes for the cleaning of all exterior car surfaces including specialist wheel brushes, brushes for use with a connecting hose pipe, detail brushes and shampoo sticks.